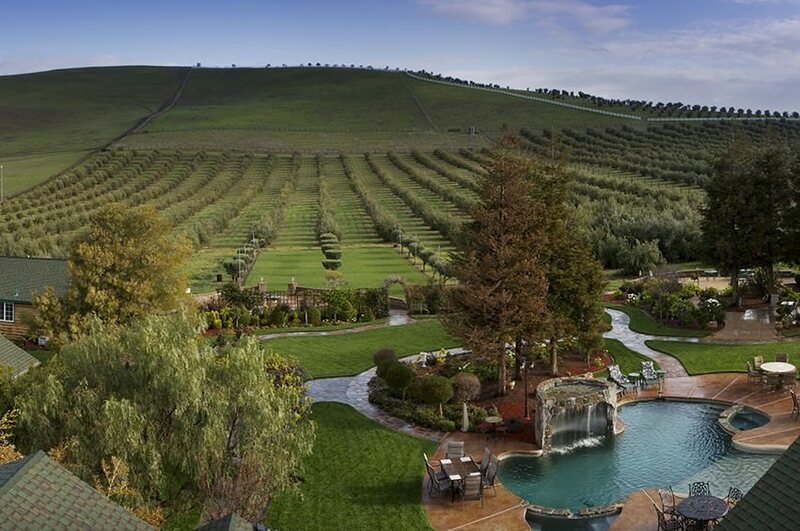 The beautiful Livermore Valley is studded with outstanding wineries. (You can see our recommendations in our free area vacation guide.) It’s a tough choice to figure out which Livermore Valley wineries to visit—it may be even more difficult to decide which one should host your wedding. A winery wedding in Livermore is simply magical, no matter which location you choose. Misty mornings. Rolling green hills. Mild climate. The very elements that make the Livermore Valley terroir ideal for vineyards also make this region a magical wedding location. Situated in the heart of Northern California wine country, the whimsy and historic charm of Livermore adds a special ambience you won’t find elsewhere. 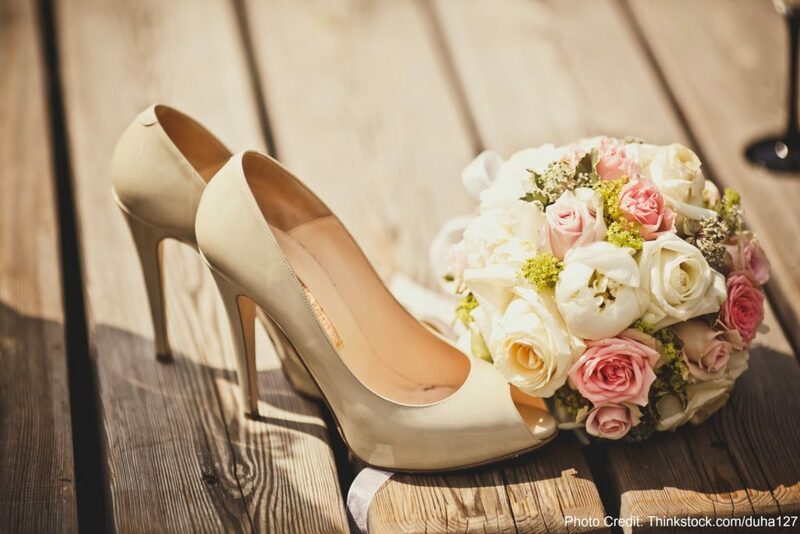 Winery weddings in Livermore offer the kind of setting that bring romance and elegance to any wedding. A winery wedding in Livermore is simply magical. Why choose The Purple Orchid? The Purple Orchid can’t offer you a winery wedding—we’re an olive grove! (And a spa…and an inn…) You’ll get everything you want from a winery wedding with the personal, intimate touch of our experienced staff and incredible, intimate grounds. Nothing says romance quite like a gorgeous, lush rose garden. Except perhaps a breathtaking fountain, or a rock waterfall, or an olive orchard at sunset. Good news! At The Purple Orchid, we offer the opportunity to have the outdoor wedding you have been dreaming of with all of these stunning landscape features. The ceremony itself will be picture postcard perfect, and the photos of your big day will be enhanced by the whimsical, romantic setting of our grounds. To truly round out your wedding experience, we offer our wedding guests a state-of-the-art banquet hall where you and your guests can dine and dance the evening way. Unless of course you’d prefer to keep the party outdoors and have your dining set up al fresco. Turn your wedding into a true weekend event and take advantage of the luxurious lodgings at our Bay Area resort. The happy couples who choose to have their nuptials at The Purple Orchid can continue the festivities for themselves and their wedding party with a weekend stay in one of our ten rooms, all of which include private Jacuzzi tubs and fireplaces. 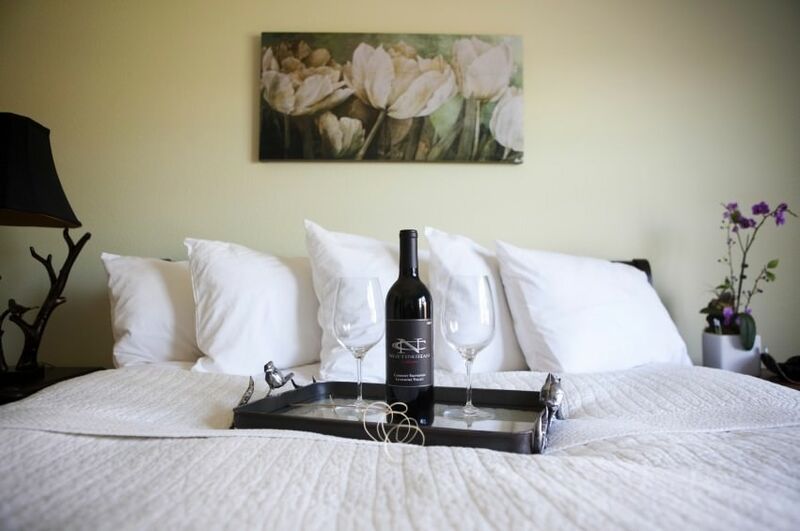 What sets Livermore wedding venues, specifically The Purple Orchid Wine Country Resort & Spa, apart from the rest of California’s wine country is the convenient location. The elegant and quaint city of Livermore is located just an hour east of San Francisco and thirty minutes from Castro Valley and Pleasanton. The Purple Orchid is located just ten minutes from beautiful downtown Livermore. We’ve written extensively about Livermore’s many fantastic qualities, from weekly farmer markets to tree-lined shopping streets, live theater, and wineries to explore on your honeymoon. Livermore, with its fifty wineries and numerous hiking trails, will give your wedding a country feel with the ease of an urban location that is just a stone’s throw away. At The Purple Orchid, we’re experts at creating a romantic, relaxing, luxurious atmosphere. Come back on your anniversary for years to come and indulge in one of our Romance Retreat Packages! Bottle of Nottingham Sparkling Wine! Please call or email us to make a reservation or discuss the details of your big day! And don’t forget to direct your guests to our free area vacation guide. You can reach us directly at 925-606-8855 or via email at events@purpleorchid.com. 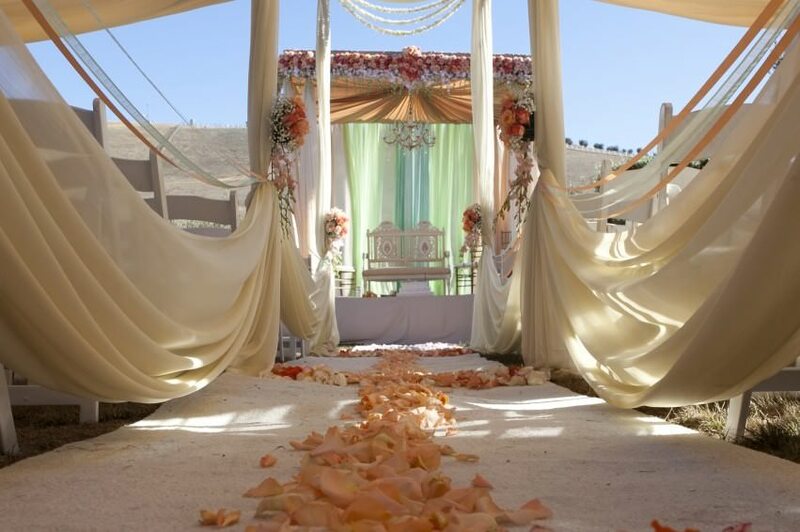 We look forward to helping make your special day a truly beautiful and magical experience.